On 21 December, the Society for International Human Resources Department of China Association of High Education Conference 2018 was held at Sichuan University (SCU). The Department of International Cooperation and Exchanges, along with 250 representatives of membership units of the association, came together to discuss communication, cooperation, responsibility, and innovation during the construction of “Double First-rate” universities. 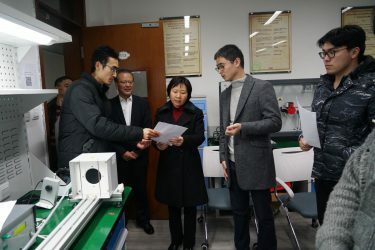 After the forum, Jin Liu, Director of the Department of International Cooperation and Exchanges of the Ministry of Education (Office of Hong Kong, Macao, and Taiwan Affairs), Shijing Yan, Vice president of Sichuan University, and approximately 200 representatives visited Sichuan University – Pittsburgh Institute (SCUPI). 2018 marked the 40th anniversary of Reform and Opening-up policy. The party Central Committee and the State Council has actively carried forwarddevelopment and reformsof higher education. Undoubtedly high quality and talented people are the main force behind “Double First-rate” construction. During this conference, there was a group of talks on particular subjects: foreign high-quality talents introduction, “Double First-rate” construction, international communication and cooperation, and international competitiveness, all of which showed the importance of talents in the development of higher education. The delegation led by Ms. Liu visited the transitional space, interaction classrooms, remote learning classrooms, student lounge, seminar rooms, reading rooms, and laboratories. Furthermore, they attended a class on English writing and communicated with the teacher and students. They also joined the heat radiation measurement experiment. Ms. Liu sent her best wishes to all the students and hoped they could make full use of the international education platform and resources of SCU so as to make further progress. During their visit at SCUPI, Vice president Shijing Yan also introduced the academic achievements that 636 students currently study in SCUPI while 105 have already transferred to universities abroad, such as the University of Pittsburgh, Carnegie Mellon University, Ohio State University, the University of Wisconsin-Madison, the University of Minnesota Twin Cities, Waseda University, etc. 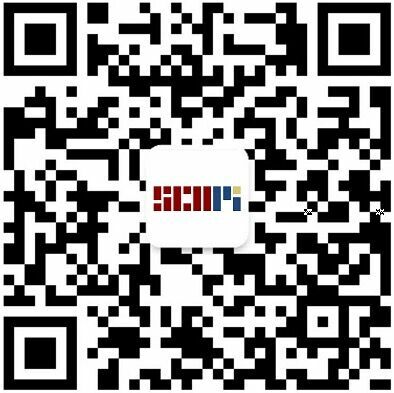 Ms. Liu appreciated what SCUPI has achieved and pointed out her hope for its further development as an international comprehensive research institute dedicated to the local economic construction and country’s development. SCUPI always follows the motto of SCU: “The sea admits hundreds of rivers for its capacity to hold.”We wish everyone a bright future ahead.